Rates per room are $150 per night + 9% NH Tax. Additional $45 for a third person in the room. All rates include a country breakfast. To view availability enter your arrival date and stay duration below or call (603) 632-7664. The Inn must be notified ten (10) days before arrival date to ensure a full refund—EXCEPT DURING JUNE and OCTOBER, where thirty (30) days notice is required before date of arrival. Close to beach at Mascoma Lake for swimming, sun bathing and boating. King size beds in most rooms. A hearty country breakfast is included in your stay. Visit Shaker Farm in the spring. New Hampshire offers great weather and a chance to do some early season hiking or perhaps a romantic Mother's Day escape. 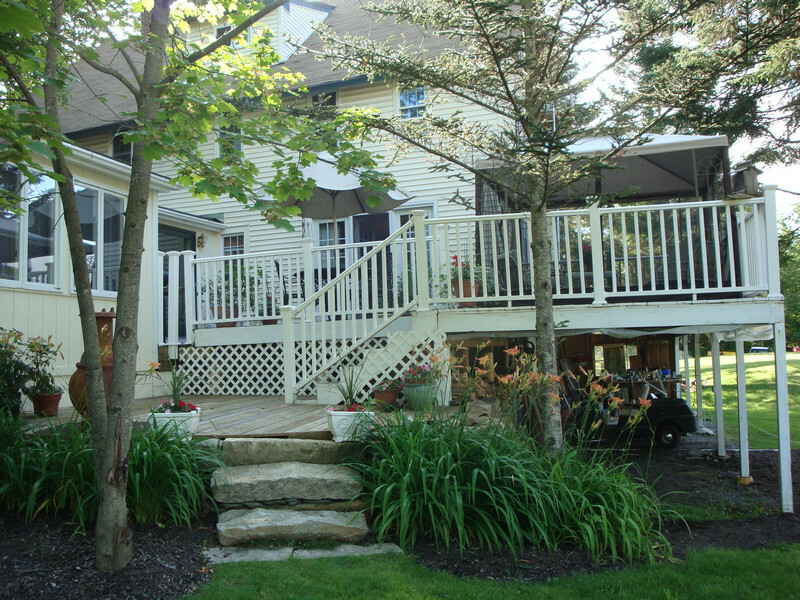 Shaker Farm Bed & Breakfast is close to the beach at Mascoma Lake. Enjoy a swim, sun bathe or kayak. Or maybe just go on a hike--it's all up to you! Trees glowing with vibrant colors. Orchards overflowing with ripe fruit ready for picking. Harvest time is here and New Hampshire is the perfect place to experience the season. Winter, a season made for outdoor recreation, is an exhilarating time to be in New Hampshire—the perfect home base for all types of winter sports. Skiiing, Snowmobiling and more. Located near Dartmouth College, Dartmouth Hospital, Cardigan Mountain School, Proctor School and Lebanon Opera House our location is perfect for a visit. We’re close enough to the many activities and events in the area, but with a special intimacy that will make you feel right at home. The Shaker Museum & Village, Shaker Mountain, LaSalette Shrine and Mascoma Lake are all within walking distance. Nearby you’ll find: Powerhouse Mall, Quechee Gorge, Simon Pearce Glass Blowing, Billings Farm Museum, Baker Library, Flood Museum, Hopkins Center, Montshire Museum, Ruggles Mine, St Gaudens National Historic Site, and much more. First level private room with 4 post Queen bed, Cable TV, Private Bath and lots of windows. Quiet and comfortable room with king size bed, Air Conditioning, Cable TV, and a private bathroom. Relax and enjoy this bright corner room with King size bed, Air Conditioning, Cable TV, and private bathroom. Bright airy room with a king sized bed, wicker seating, air conditioning, cable TV and a private bathroom. This room has a king size bed along with another queen bed, sitting area, air conditioning, cable TV and a private bathroom. King Size Bed or Two Twins along with a full size pull out coach, large comfortable Rocker, Air Conditioning, Cable TV and private bathroom. Relax outside on our our deck in the evening. 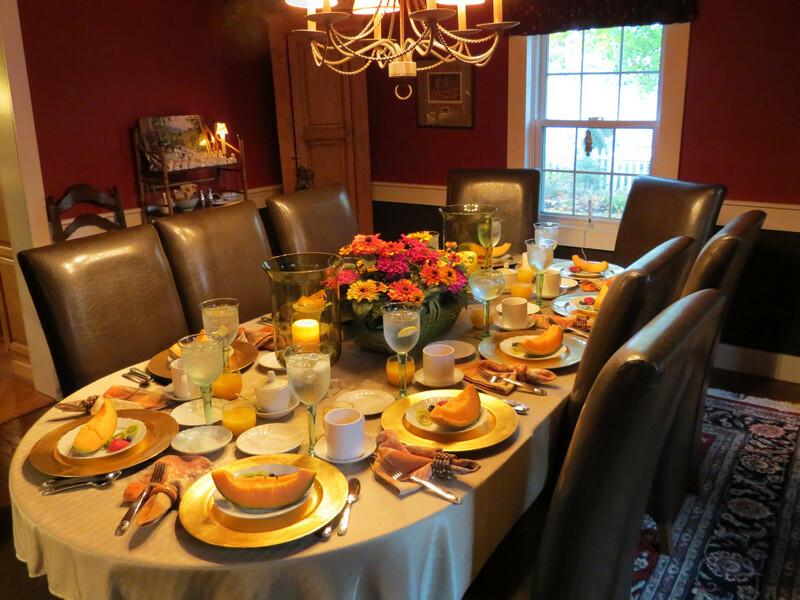 Enjoy a Country Breakfast each morning in our dining room. 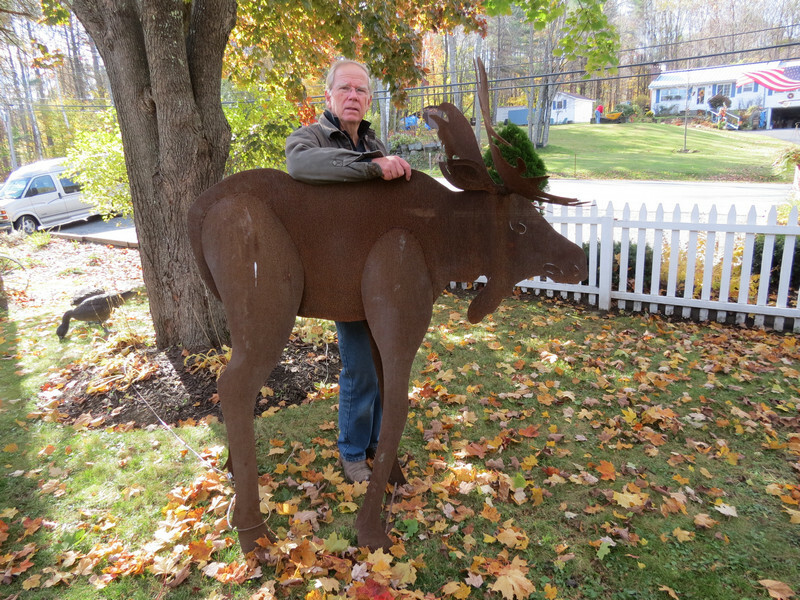 You're guaranteed to see a moose... in our front yard. Whether you are a bicycle enthusiast, a casual biker, a locavore, nature lover or history buff, you will love our inn to inn bike tours. New Hampshire is a cyclist’s paradise, and our bike tours combine biking on the Northern Rail Trail with the luxury and convenience of being able to relax nightly in gracious inns, followed in the mornings by a gourmet breakfast before you hit the rail trail again. Lunches will be provided. Bike rentals and luggage transportation are also available. For more visit bikethenorthernrailtrail.com. 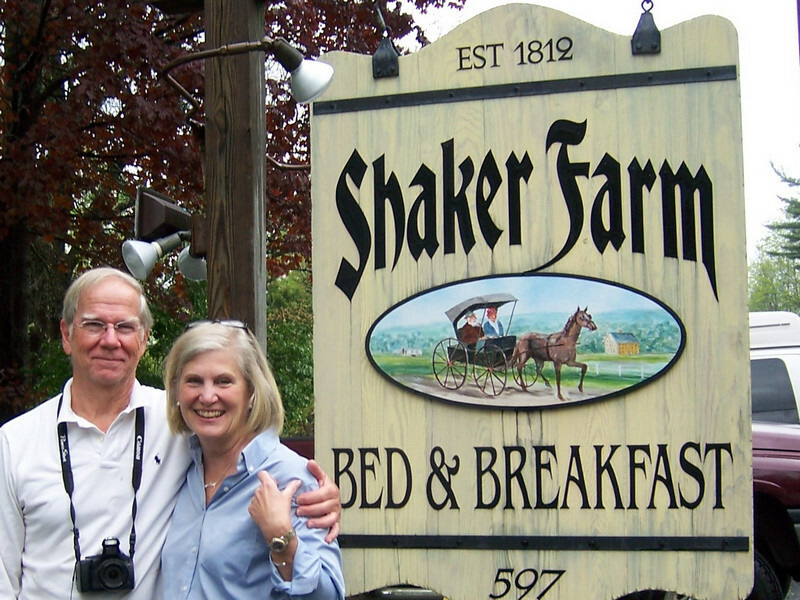 Copyright © 2004 - 2018 Shaker Farm Bed & Breakfast. Site by The 23 Company.